"Some missions "they" won't talk about"
Retaliation is the release of Counterstrike and Aftermath for the PlayStation; it contains most of the AM and CS features and new cut scenes for the missions. The soundtrack is also different. 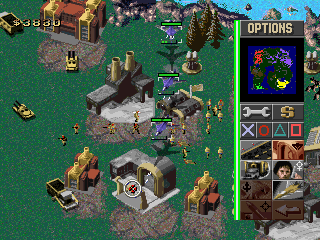 Unlike Counterstrike and Aftermath for the PC, where missions can be played in any order the player would like, Retaliation forces the player to gain ranks to progress. 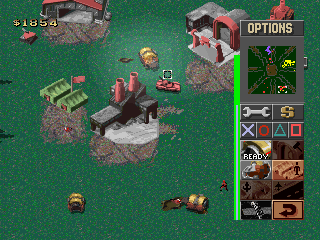 To progress the player must play mission sets that are unlocked based upon their rank. 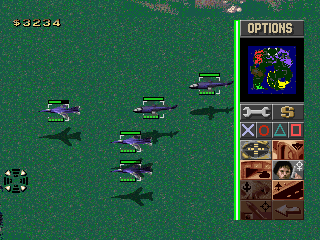 A cutscene is played at the start and end of these mission sets. 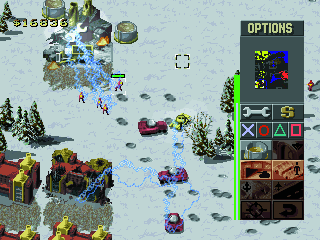 Unlike the PC version It Came From Red Alert!, the ant missions, cannot be played right away. 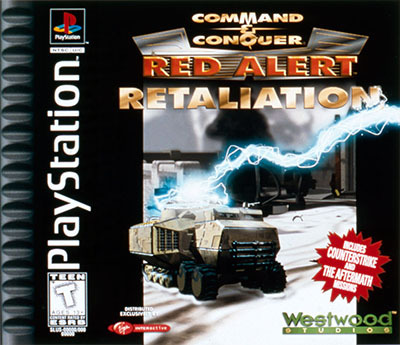 Instead the player has to complete either the Allies or Soviet campaigns, save the game, go to options and then change the difficulty to the hardest setting.